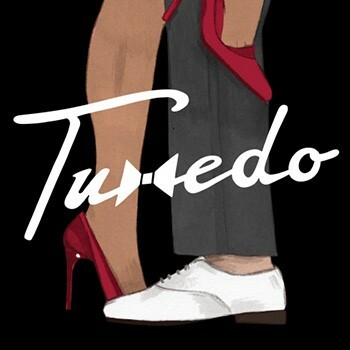 Tuxedo is a duo comprised of modern soulster Mayer Hawthorne and hip-hop producer Jake One. 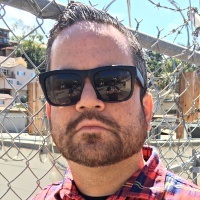 The collaboration began with an exchange of mixtapes almost a decade ago. Realizing that they shared an affinity for the kind of string-laden R&B and disco artists such as Change, Kleer, and Chic favored in the late '70s and early '80s, Hawthorne and Jake One decided to create an album of original material under the Tuxedo moniker. Hitting stores on March 3rd via Stones Throw Records, Tuxedo features a first-class combination of lush production and instantly memorable vocal melodies. The dance floor-ready bass and guitar work throughout the record brings to mind the records I would hear on radio stations like KISS FM and WBLS growing up as a kid in the early '80s in New York City. This was certainly done by design. Mixed by John Morales (Shalamar, Inner Life), Tuxedo sounds like it could have come out in 1980. Like the funky R&B and disco records that came out back then, Morales' mix has an earthiness to it that suits the material nicely. While I don't have the liner notes for Tuxedo, it certainly does sound like a real drummer and bassist are laying down its grooves. The vintage keyboard sound on songs like "So Good" and "I Got You" also proved to be a wise touch, adding an intoxicating nuance to the tracks that records these days can't come near. I've been a big Hawthorne supporter since his A Strange Arrangement album back in '09, and I've always loved when his material headed towards the feel that Tuxedo writes in. It looks like he found his brother from another mother in Jake One, because Tuxedo sounds like an album recorded by musicians who've been collaborating for a lifetime.